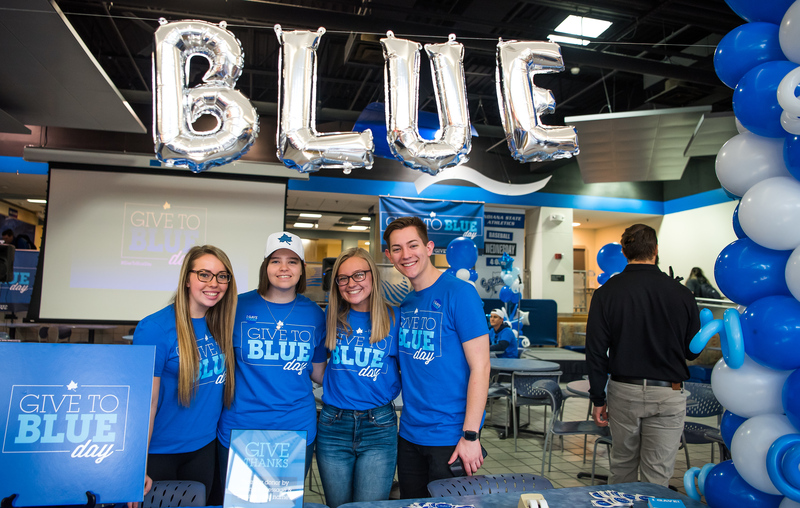 As we head into our 50th year as a separate college of business on Indiana State University's campus, we have the ability to reflect on many people and achievements that have brought us to this moment. Just as it "takes a village to raise a child," it takes many -- students, alumni, faculty, staff, emeriti, community members, industry partners, and others -- to make a college of business, or any business, successful and impactful. During the remainder of 2014 and all of 2015, we will be recognizing the work and actions of those who have done just that; hence the theme: "Honoring Our Past. Celebrating Our Future." Since that golden year (1964-65), we have prepared generations of students for the world of work, but more importantly, we have prepared them to be strong leaders. Aside from the core business curriculum, we teach timeless lessons on teamwork, giving back (time and talent), stewardship, ethics and valuable soft skills that continue to be in high demand. 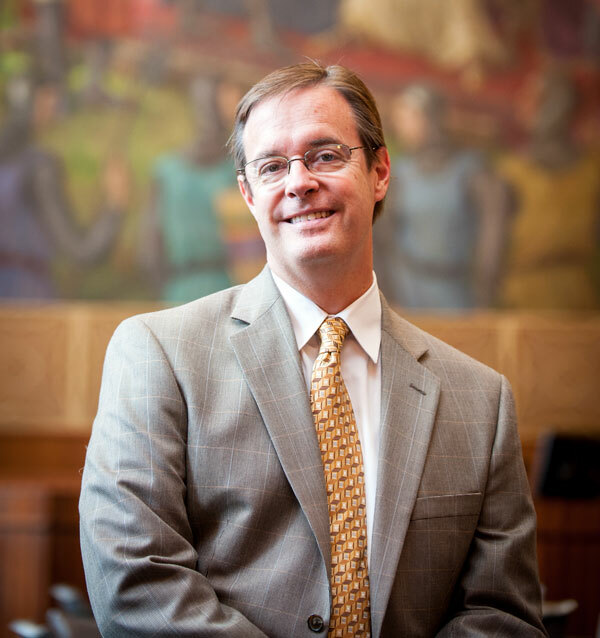 Many of our outstanding alumniare in influential positions at companies that compete at the national and often international levels, and several of those alumni continue to serve the Scott College in valuable ways, such as on our councils, as guest speakers, and more. A lot has changed in the past 50 years! Our facilities have improved immensely from the days of being located in the Fine Arts and Science buildings, later in Statesman Towers, and today in beautiful Federal Hall in the heart of downtown Terre Haute! Thanks to a generous naming gift from Don and Susan Scott in 2009, we were able to move forward on a $20 million renovation of this historic landmark. Our programs have changed with the times as well, such as our early focus on teacher training and secretarial preparation to today's focus on supply chain management, sales (insurance and medical) and marketing, insurance and risk management, and many other vital areas. We invite you during this anniversary year to reflect on the great times you had in the college as a student, faculty member, alumnus, friend or community member and to please share those memories with us by visiting the online guestbook on our 50th anniversary website. 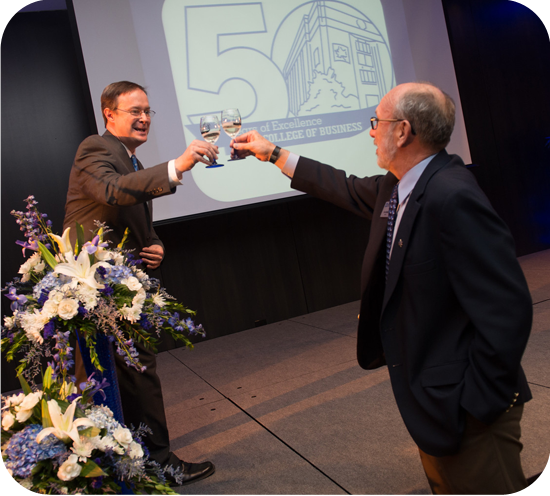 Don't hesitate to honor or acknowledge those who were instrumental in your successes along the way and share any sentiments you may have with the Scott College of Business family during this golden milestone called our 50th! Take time to delve into our history even further by visiting our 50-year timeline, browsing our many photos and videos, or reading the short profiles on influential people from the past 50 years. As always, a website is never done. Instead, it is always in progress. We will continue to add to and update this collection over the next several months. Please,, so if you have any photos or memories to share, we would love to be able to include those on this site, along with your observations from that time in our history. Please forward any submissions to Michelle Swick at Michelle.Swick@indstate.edu. 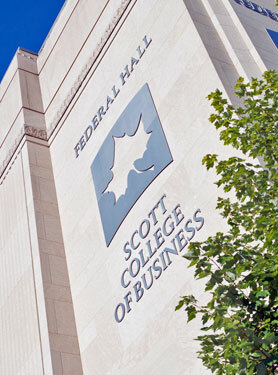 Congratulations to the Scott College of Business on this grand achievement, and congratulations to the "village" of leaders and influencers who have contributed to making us what we are today. We look forward to seeing you at the celebration in April!